Does 8(a) status remain in place for the duration of GSA Schedule contracts? GAO says no. In MIRACORP, Inc., B-416917 (Comp. Gen. Jan. 2, 2019), the incumbent contractor for administrative support services sought by the Department of Energy, protested the Department’s evaluation and award of a delivery order to RiVidium, Inc., an 8(a) small business. GAO dismissed the protest, saying that the protester–which had graduated from the 8(a) program–lacked standing because it wasn’t eligible for the 8(a) set-aside order. The underlying services fell under a the GSA’s Professional Services Schedule (PSS) contract, and the solicitation was limited to 8(a) program participants that held such a PSS contract. Offers were due in August of 2018. After evaluating competitive quotations, the DOE announced that RiVidium would be awarded the order. MIRACORP, which had also submitted a quotation, then filed a GAO bid protest, arguing that the DOE had evaluated quotations improperly. The DOEs and RiVidium struck back against MIRACORP’s protest, arguing that MIRACORP was not an interested party and had no standing to protest before the GAO. The agency and awardee noted that the solicitation at issue was set aside for 8(a) program participants and MIRACORP had graduated from the 8(a) program prior to the due date for offers. MIRACORP, however, disagreed. While MIRACORP confirmed that it had graduated from the 8(a) program in 2017, it argued that MIRACORP was an eligible 8(a) participant when it acquired its underlying PSS contract so should maintain its 8(a) status for all solicitations under that contract. MIRACORP’s PSS contract, however (like all GSA Schedule contracts) was not set-aside for 8(a) participants. Rather, any 8(a) set-asides under the PSS occur at the order level, rather than the underlying Schedule level. MIRACORP pointed to an SBA regulation, 13 C.F.R. § 121.404, to support its arguments. 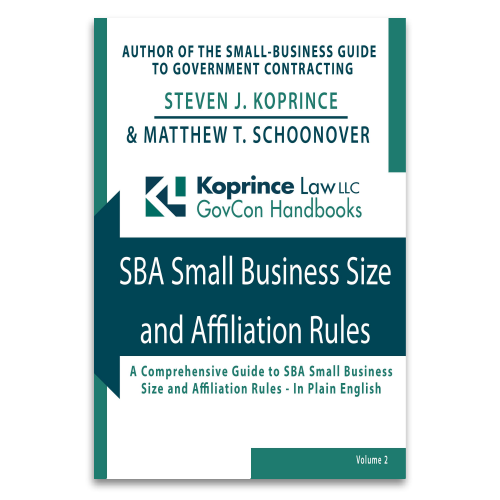 This regulation states in pertinent part that “SBA determines size at the time of initial offer . . . which includes price, for a Multiple Award Contract based upon the size standard set forth in the solicitation for the Multiple Award Contract” and that “[i]f a business is small at the time of offer for the Multiple Award Contract, it is small for each order issued against the contract, unless a contracting officer requests a new size certification in connection with a specific order.” Still, though it addresses size, the regulation does not address maintaining 8(a) or other set-aside status for the duration of a Multiple Award Contract. 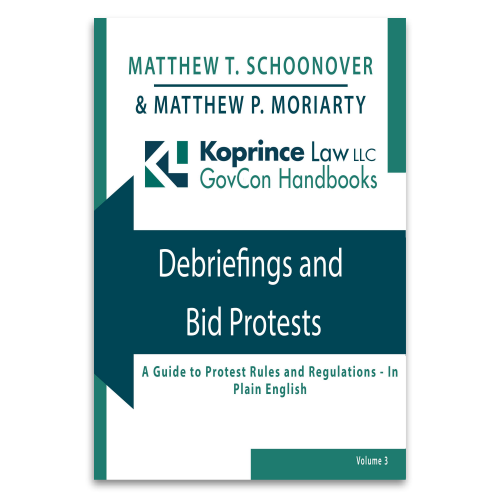 The SBA chimed in, indicating that “any order under [the PSS] contract that is competed exclusively among 8(a) concerns, only can be awarded to a firm that SBA has verified as being an eligible 8(a) concern” as of the due date for offers on the order. The SBA cited 13 C.F.R. 124.503(h)(2), which applies when an order was set-aside for 8(a) participants, but the underlying contract was not. Thus, the SBA concluded, MIRACORP had no standing to protest before GAO because it was no longer an 8(a) participant when offers were due. The MIRACORP case highlights the different ways size and 8(a) status are treated for purposes of GSA Schedule contracts. A company’s small business status is usually based on the date of the initial proposal for the underlying Schedule contract itself, although there are exceptions, and recertification is required after five years. For 8(a) purposes, however, eligibility is determined as of the date for offers on the order. It’s a nuanced distinction, but as MIRACORP demonstrates, it can be a very important one. Joint Ventures And GAO Protests: Protester Must Have "Standing"
This entry was posted in GAO Bid Protests and tagged 8(a) status, MATOCs, Size Status, standing. Bookmark the permalink.